It is becoming increasingly common that brides want to be a part of their flower design and creation. After all, who wouldn't want to be surrounded by gorgeous flowers! This option is best suited for the individual who likes the idea of creating their own designs and bouquets, has an individual(s) who are interested in helping the day before and morning of your NH Lakes Region wedding or event, is on a limited budget, has ample cool storage, and a clear vision. The Bloom Bucket price varies based upon the type of flowers that are selected and the specificity of the order. For the individual who desires a variety of in-season blooms with little to no special color or other requests, the standard price per Bloom Bucket is $85. 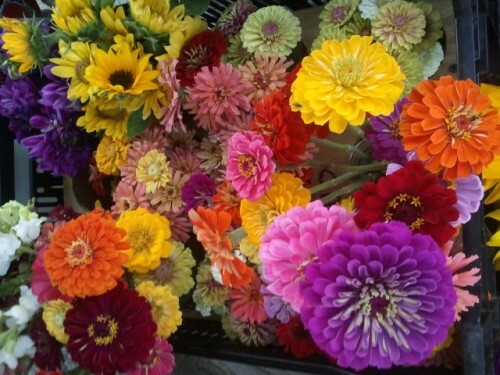 However, specific color requests or certain varieties such as dahlias or lisianthus may incur an additional expense. This price includes email consultation, including photos, flower suggestions, and on-site pick-up. Just like events where we do all of the design work for you, Bloom Buckets involve a collaborative effort between the grower and the bride. Bloom Buckets are available for purchase with advance notice. Let us know the date of your event, the number of bouquets and sizes and we can help you plan the rest. The more information you can provide and notice you give, the better we can meet your needs. 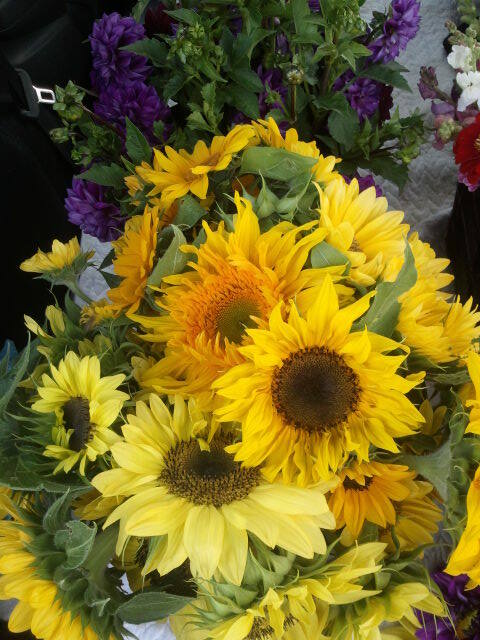 Send along photos of what you imagine or types of flowers you like. However, remember, local blooms are seasonal and subject to availability. Some brides or event hosts may want to design and create flowers for their own event, however feel their experience and knowledge level requires a certain degree of support. On a limited basis, we offer Make & Take workshops for you and a limited number of guests. By the end of the workshop, you and your "support staff" will feel more confident about designing your event flowers. As with any flower event, we will collaborate prior to the event to determine your desired colors, flowers, themes, styles, and quantities. For your workshop we will provide a demonstration, support, flowers, and all of the necessary floral materials for creating a prearranged number of bouquets, boutonnieres, corsages, and/or arrangements (pins, floral tape, corsage holders, ribbons, containers, floral preservative, etc.). You will be responsible for bringing any vases for arrangements, unless other arrangements have been made in advance with us. If prearranged, we will also offer use of our walk-in cooler for overnight storage of your designs. 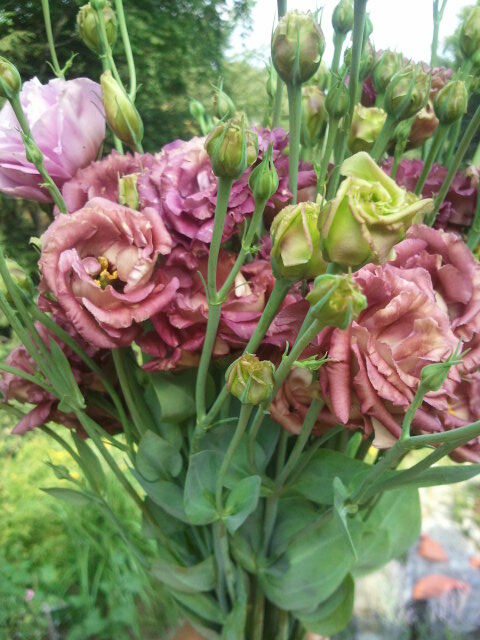 This is a critical feature separating the quality of bouquets made at home and those professionally designed. Please contact us at woodlandsfarmer@gmail.com for more details, pricing, scheduling, and requests.